VOHN Precision is equipped to provide production quantities of Swiss machined parts from the thousands to millions per year. 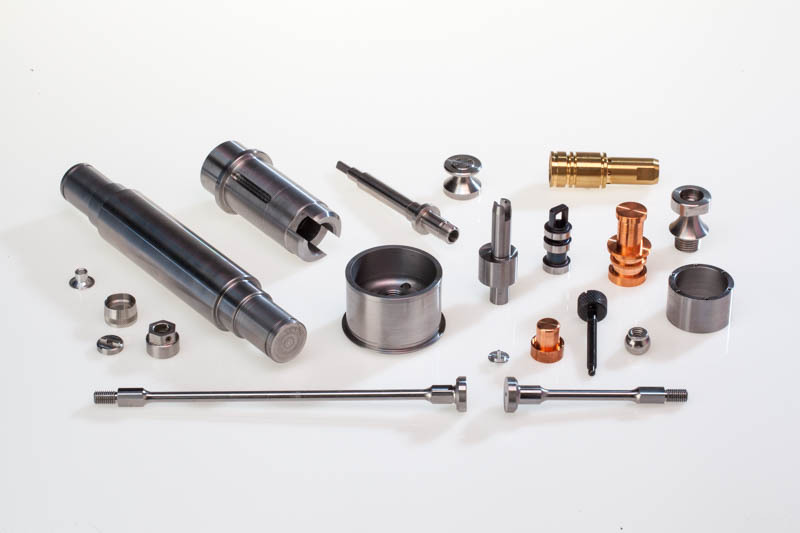 From medical to automotive, to electrical and countless other industries, we have the equipment, expertise, capital and flexibility to meet market demands for Swiss precision machined parts needs. We’ll work with you from the prototype stage through proof of quality and into a program that ensures you have the inventory needed to meet demand. We can hold inventory on our shelf at agreed upon quantities. We can hold cushion inventory for emergencies if that is helpful for your business. We price at the EAU quantity, not the release quantity, so you get the best volume price and don’t needlessly fill up your warehouse. We expand and contract to support your needs. We know our job is to keep you up and running. You can call it KANBAN, a blanket order with releases or Just-In-Time delivery. No matter what the name, you can count on VOHN Precision to provide the machined parts you need, when you need them, in a program that works for your company. VOHN Precision is an ISO 9001:2008 registered company that provides quality documentation such as first article inspections, PPAP’s and more to meet our customer’s requirements. When you request your quote, please specify what type of documentation that you require.